With no caps to lose, you’ll love the modern look of the PNY Attaché. 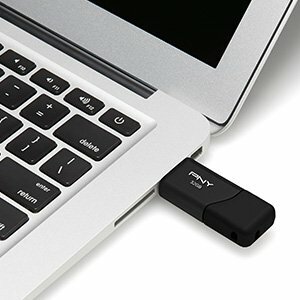 Instead of using a traditional cap to cover the USB connector, the drive has a sliding collar that easily glides open and closed. Simply push back the sliding collar and insert the connector into your computer’s USB port to transfer files to and from your computer. The PNY Attaché is sleek and durable; small enough to slip in your pocket, purse, briefcase & etc. From the classroom to the boardroom, it’s a durable and attractive electronic accessory. It’s lightweight and small in size, but big in capacity. Rest assured all your content will be safely secured on the PNY Attaché flash drive, which offers capacities up to 128GB. The Attaché USB flash drive is perfect for storing large files such as, movies, videos and music. Imagine this: with a 128GB Attaché USB flash drive you could be carrying 45K+* photos in the palm of your hand!